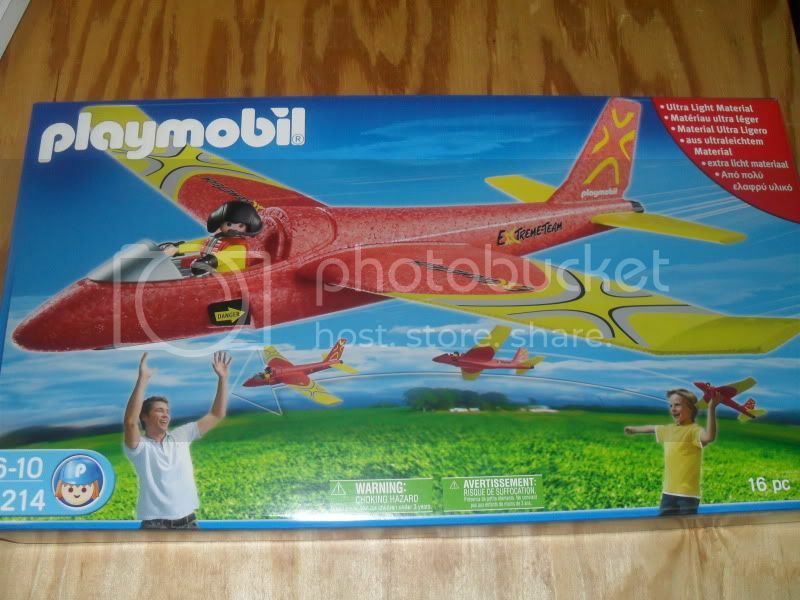 Noticed on the pm usa website that the gliders come out in April but I found this one at a local TRU. I paid 16.99 for the set. I was a little skeptical at first but I would recommend this set. It flies very good. 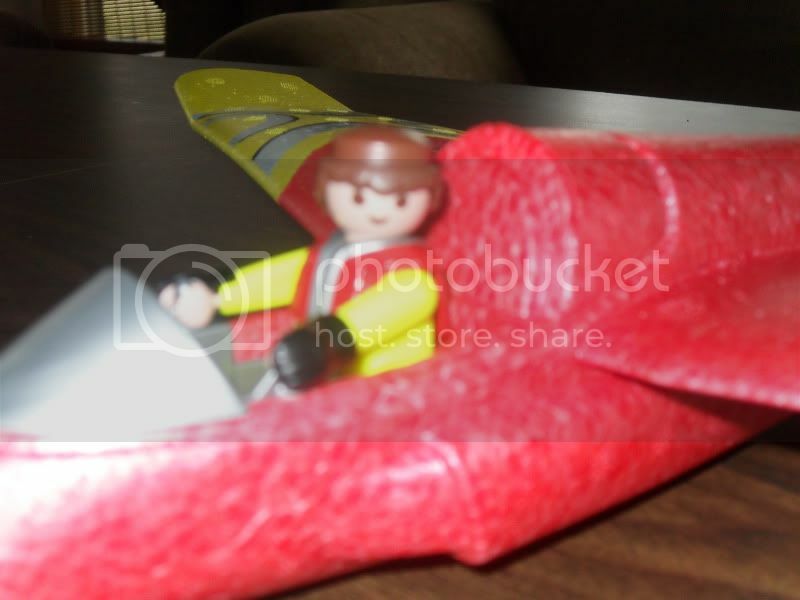 The kids and I have around 75 to 100 flights and it's very durable. My son loves this plane. He has misplaced his helmet already. That's good to hear, that it's worth having. They have it at our TRU, too, and chris has been thinking of getting it. We may have to give in! If you have a big enough area you can get at least 25 to 50 yards with a proper throw. Wow, that's really good! We live right across from a school with a huge playground, so he'll have a good place to throw it. 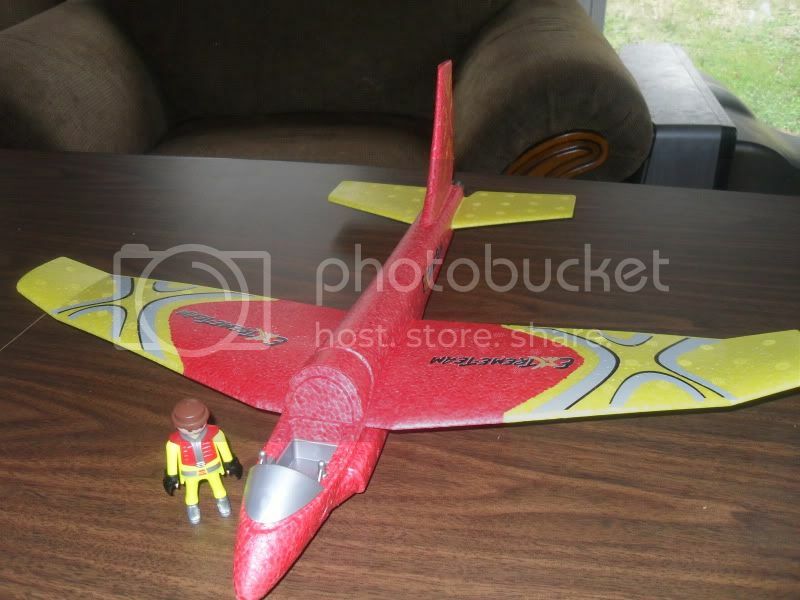 He was into RC planes and helicopters before he got into playmobil, and he used to play with them over there. Hopefully this won't get him thinking about those again! I have my sights for the blue one!!! Thanks for this review!! Looks like fun. Fortunately it's one set I am able to go without. I think it will be popular with kids though, which is great. You have to fly with the klicky in the cockpit. hi! 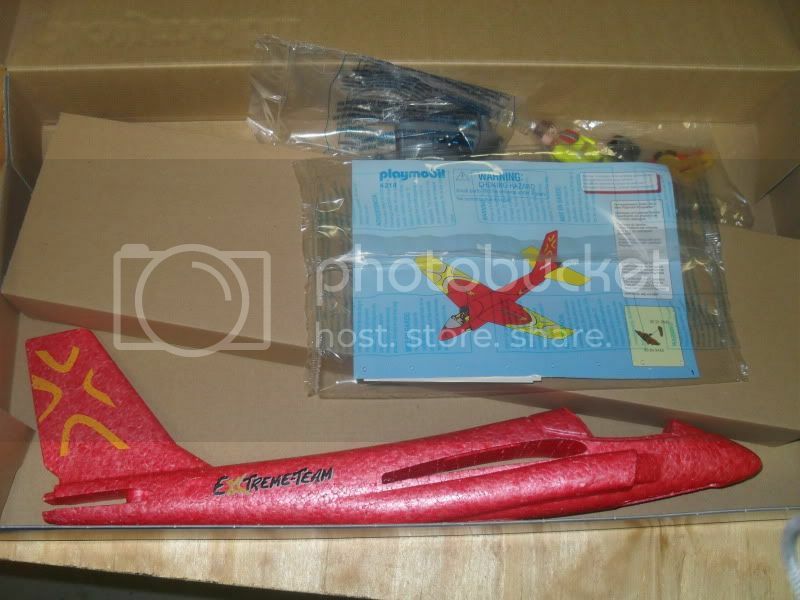 Ireally like the plane but at first I thought it was plastic but I just now realize it is made of Styrofoam (or whatever it is called) right? Yep, it's styrofoam. I think we probably will get it, though, just to see what it's like.